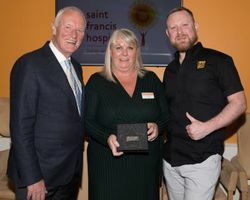 About us | Your local hospice, Saint Francis Hospice. 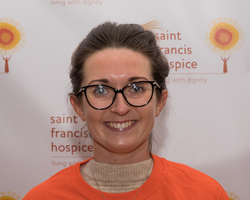 Saint Francis Hospice is an independent charity and one of the largest adult hospices in the UK. Our team of specialist consultants, doctors, nurses and a range of other health and social care professionals provide care and support to individuals with a life-limiting illness, as well as their carers and family members, completely free of charge. We serve the populations of Havering, Brentwood, Barking & Dagenham, Redbridge and West Essex. This year, we need to raise £7.8 million in voluntary income, so every donation from individuals and organisations is important to us. We also have a team of nearly 700 skilled and committed volunteers who help us keep our costs down and add huge value to the work we do. We employ 150 front line staff. View our current staff vacancies here. We are always looking for volunteers to add to our team of 800.